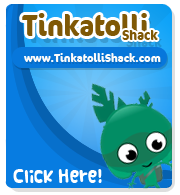 Tinkatolli Tips - Tinkatolli News & Tinkatolli Guides 2013: TinkaTolli Merchandise Shop now OUT! My friend Coolpatriot found out that the TinkaTolli Staff released a shop with all kind the most waited Merchandise Shop! Wow! Shirts, Hoodies, bags and Buttons! Wow! I might buy some of these items! What about you, tinkas?